When I realised this was my 50th post I had a look back to see what I could have possibly found to write about for all those posts. I surprised myself with all the things I have made and finished since I started this blog. 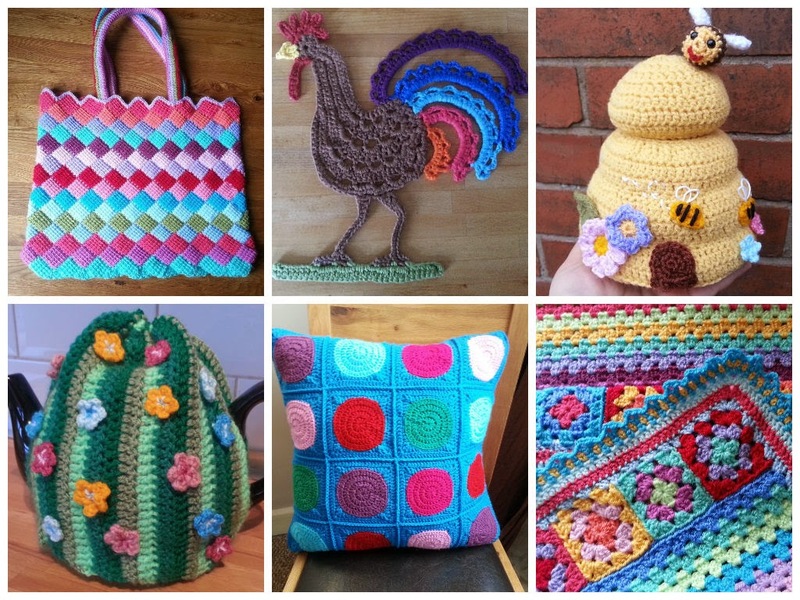 There has been tea cosies, hot air balloons, a rooster, a clock, bags, a cushion, a few blankets and loads more besides. I have been busy haven't I?! 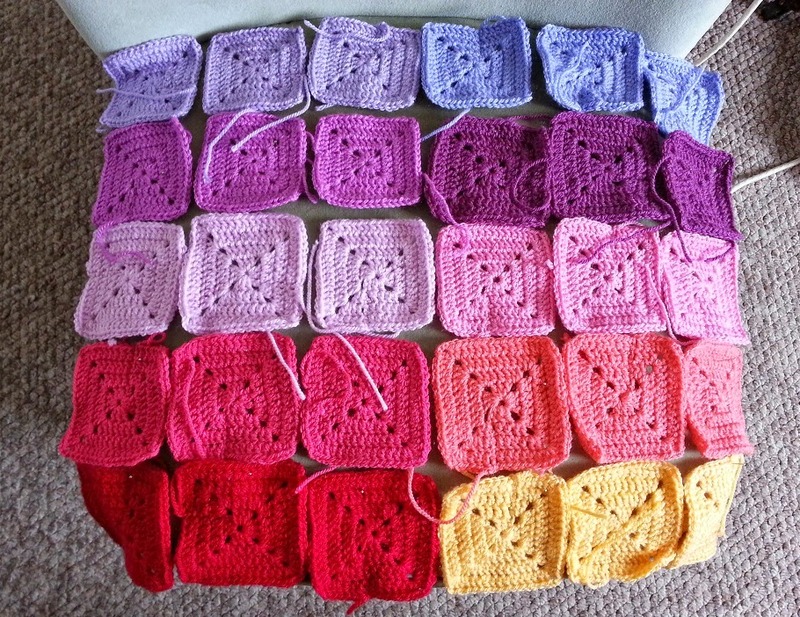 I am still plugging away at the chair, the squares are taking a while to do. I thought I had them all sorted, I have made three of each colour and (according to my measurements) this seemed like the exact amount to cover the chair. So I started repinning them on so I could see how to sew it all together but I hadn't taken into account the wastage at each side where there is a part of a square, and there is even more wastage on the back. So no, not finished with squares afterall. 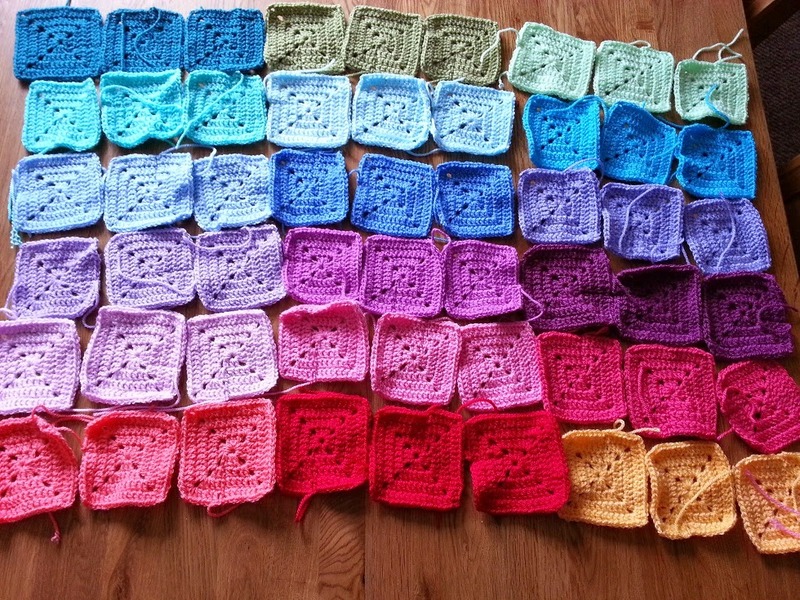 I think I need to make one more of each colour, so another 18 squares in total and (fingers crossed) that should do it and I can start sewing it all up. 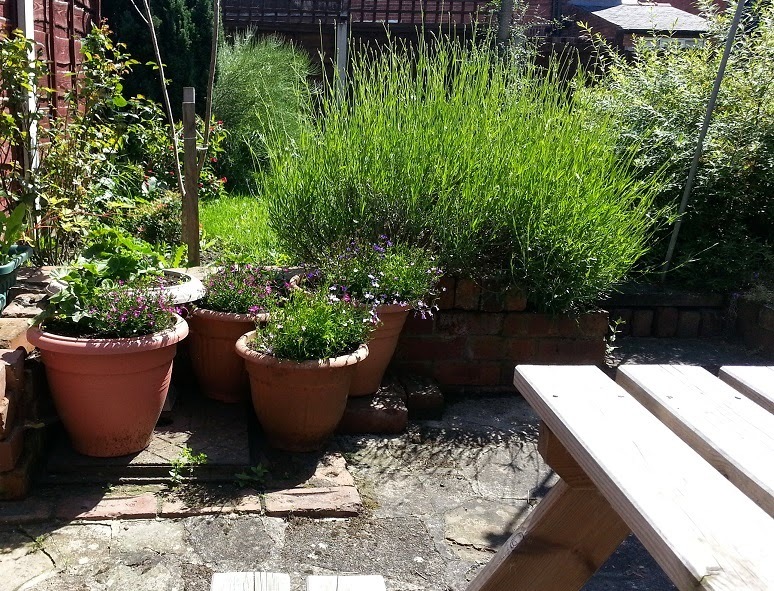 In the mean time I am really going to have to get out and sort out my little garden a bit. It is getting increasingly harder to ignore the weeds as they are now bigger than most of the plants. The garden has really taken a battering with all the rain and storms we've had recently so it needs a bit of TLC and looking after. 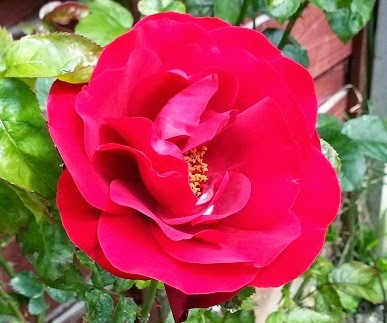 The first rose has opened up on my green fly and black spot ravaged rose bush. 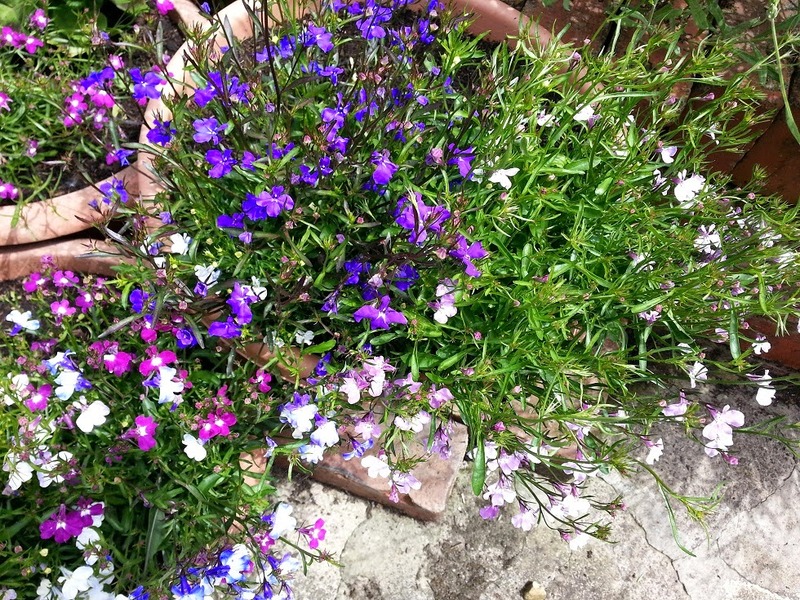 The bedding plants in the tubs that haven't been decimated by slugs and snails are looking pretty. Lots of work to do out there before it starts raining again, well it is the summer, rain is to be expected! Thanks again for coming to see my little blog!